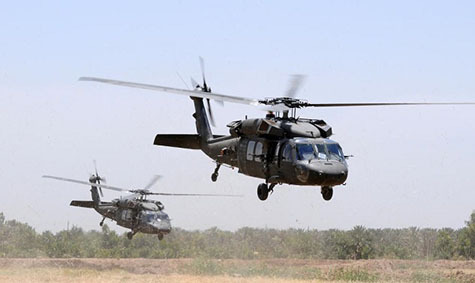 KADUGLI: Three people have been killed and another 10 suffered injuries after a helicopter belonging to the Ethiopian military crashed while travelling from the Sudanese city of Kadugli to the disputed Abyei area, as part of the United Nations’ peacekeeping mission, the UN Interim Security Force for Abyei (UNISFA) said. “An Ethiopian military helicopter registration Number UNO 379P with 23 passengers on board has crashed today at around 1310H inside the compound of the United Nations Interim Security Force for Abyei (UNISFA) killing three of its crew members… Ten passengers were injured with three in critical condition,” UNISFA said in a statement, published on its official Facebook page late on Saturday. According to the statement, the cause of the incident is yet to be determined. An investigation in the crash had already been launched, Maj. Gen. Gebre Adhana Woldezgu, UNISFA’s acting head of mission and force commander, said.